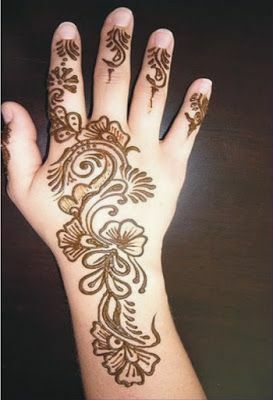 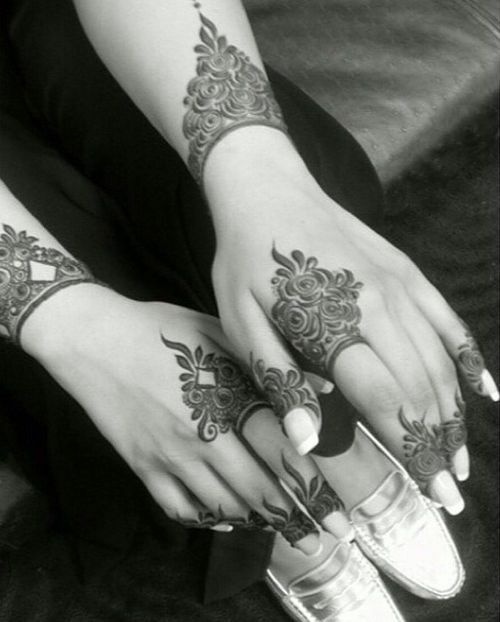 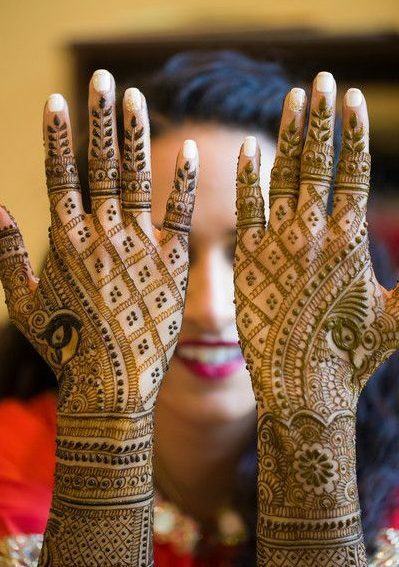 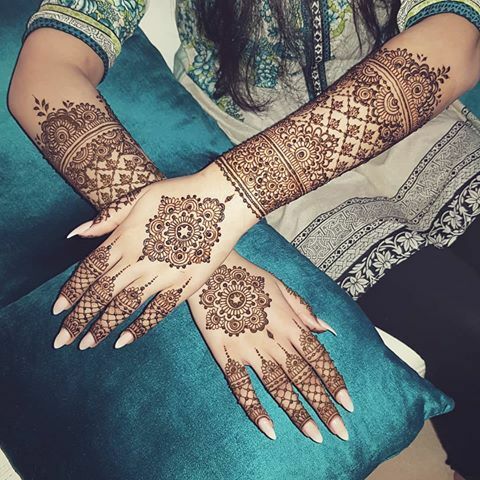 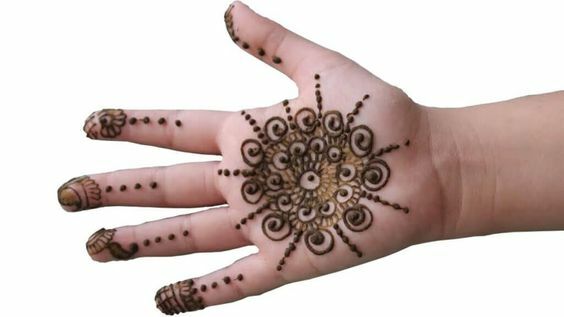 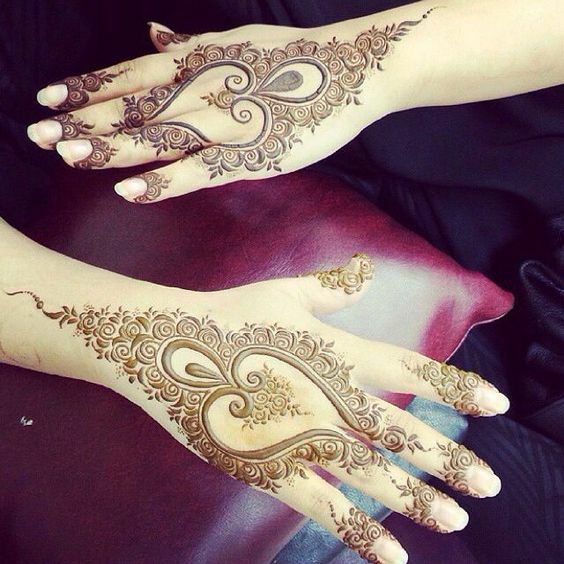 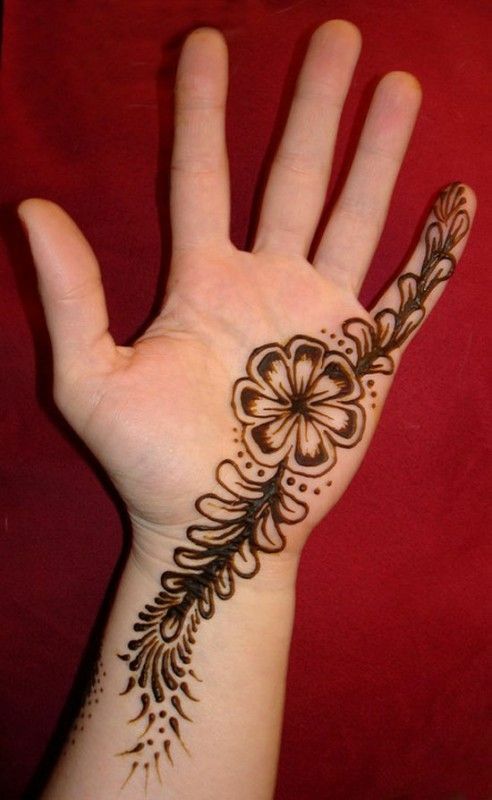 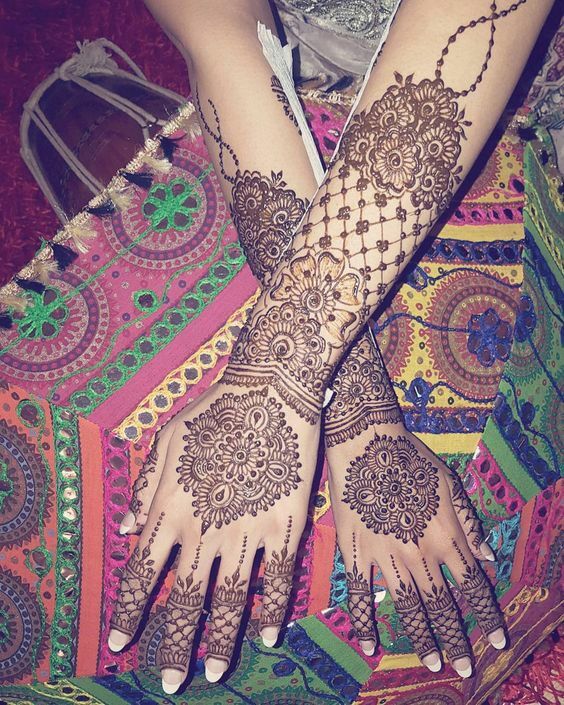 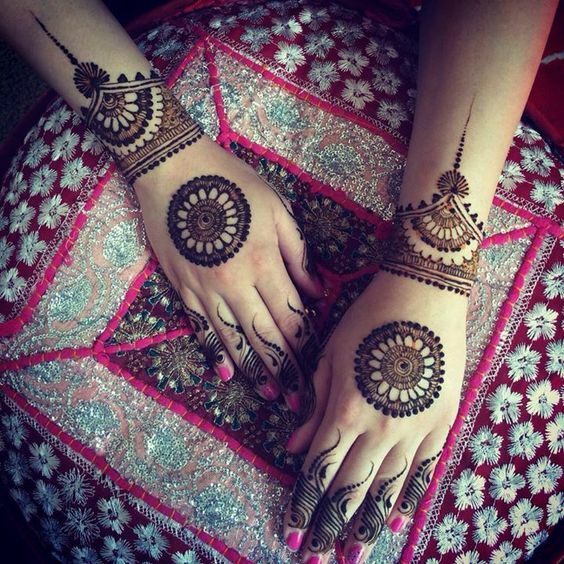 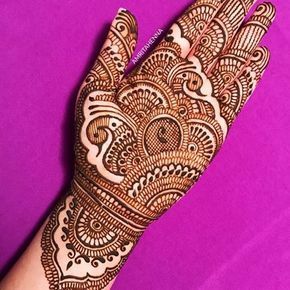 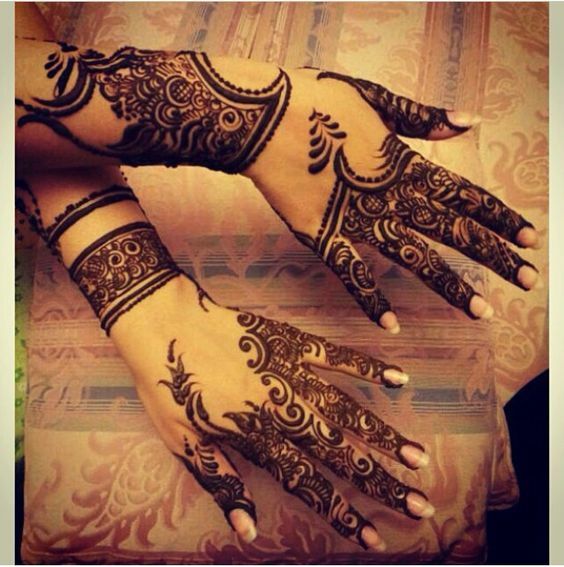 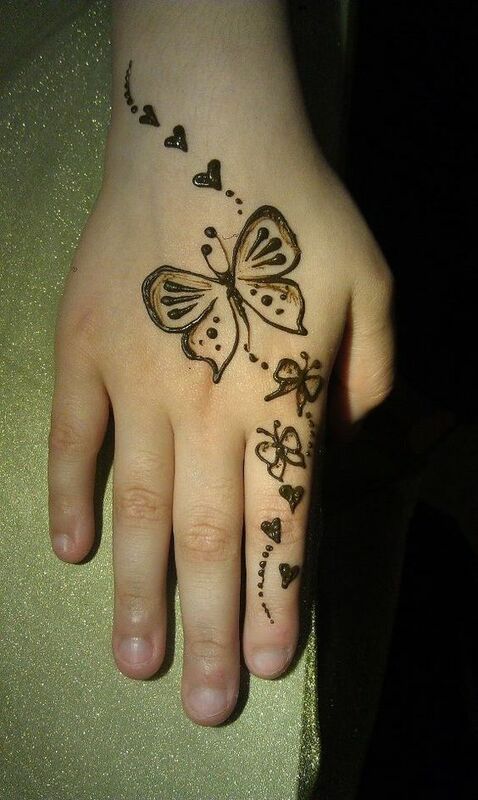 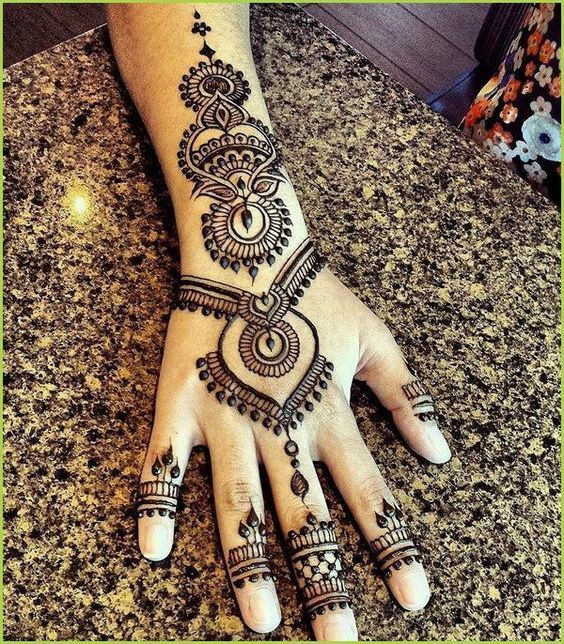 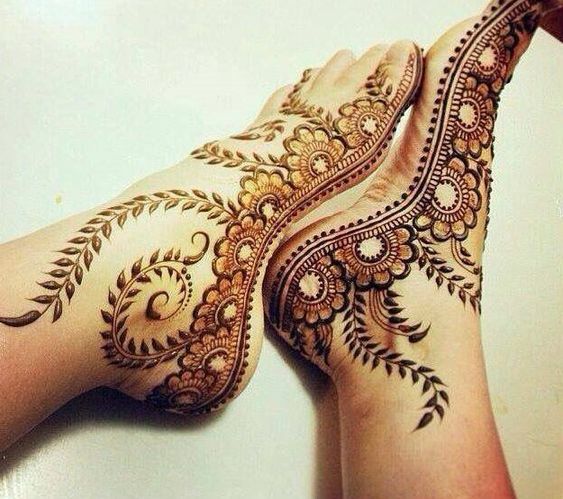 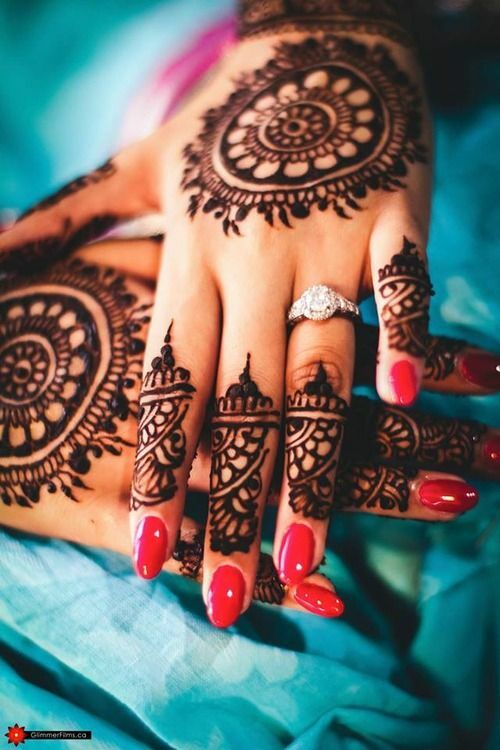 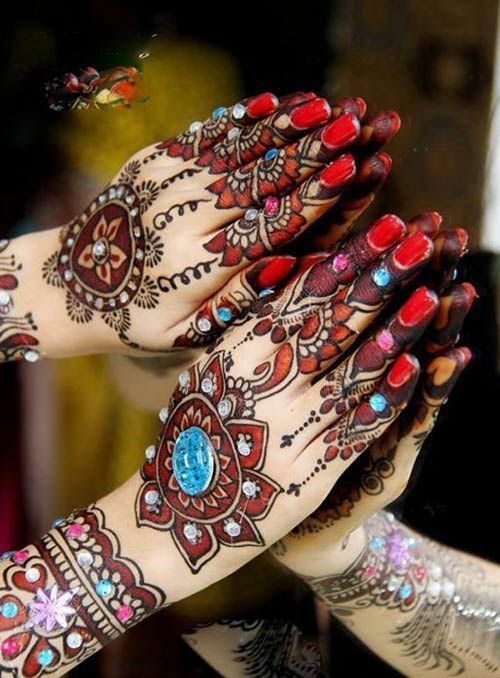 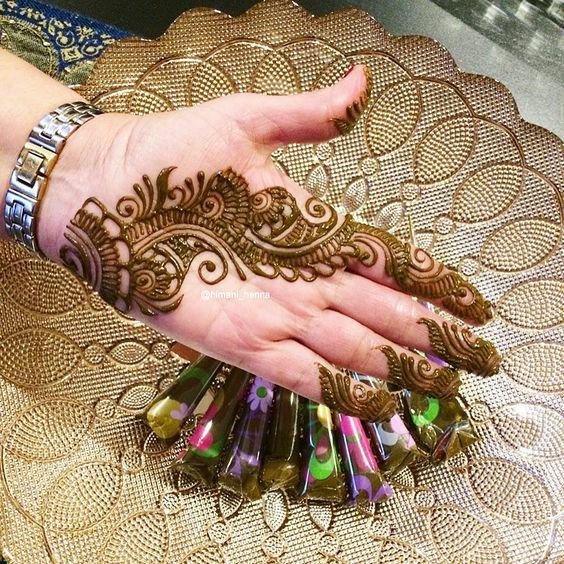 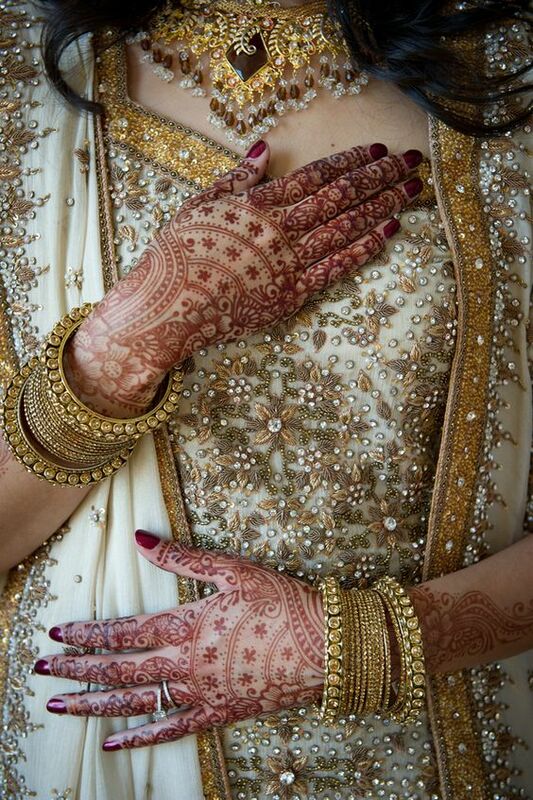 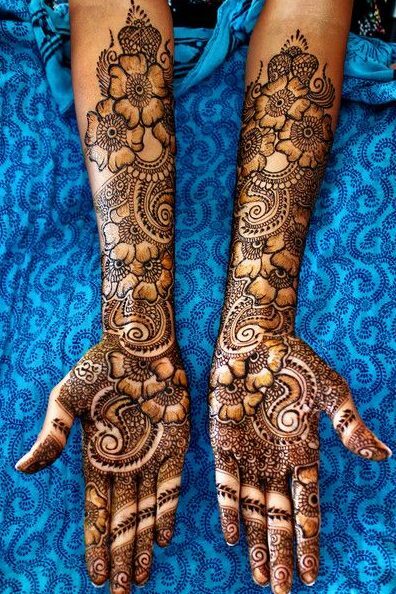 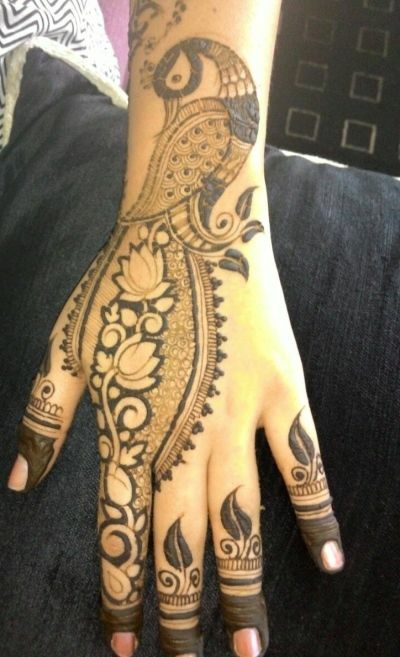 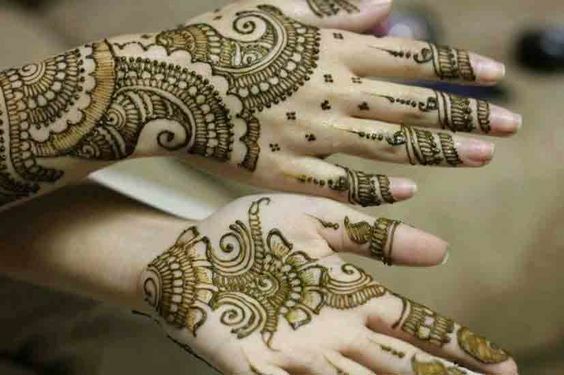 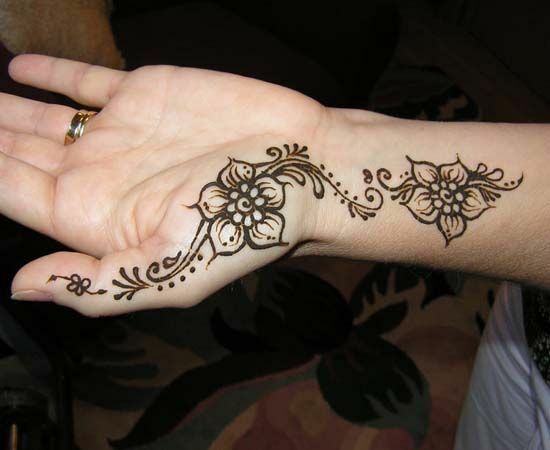 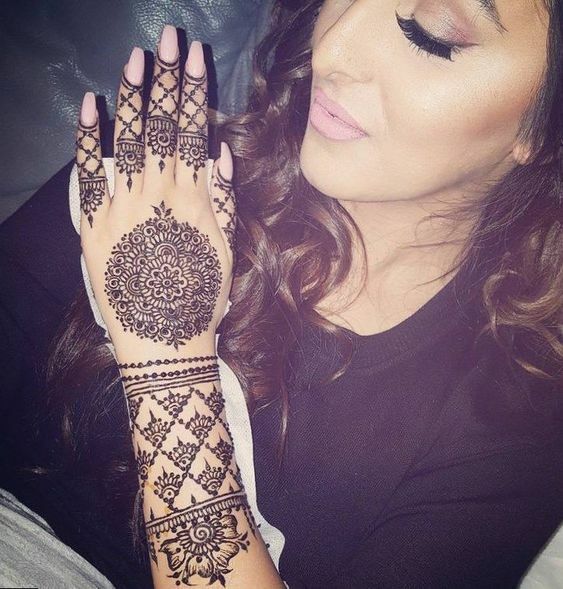 Some brides prefer light mehndi and don’t want to get mehndi done up till their arms. 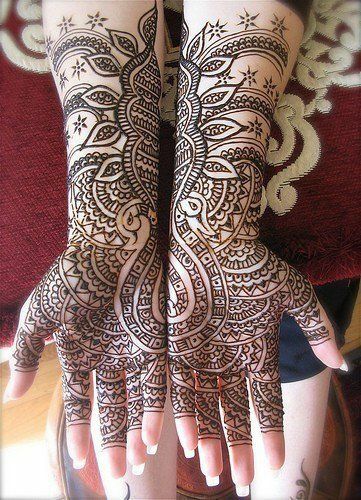 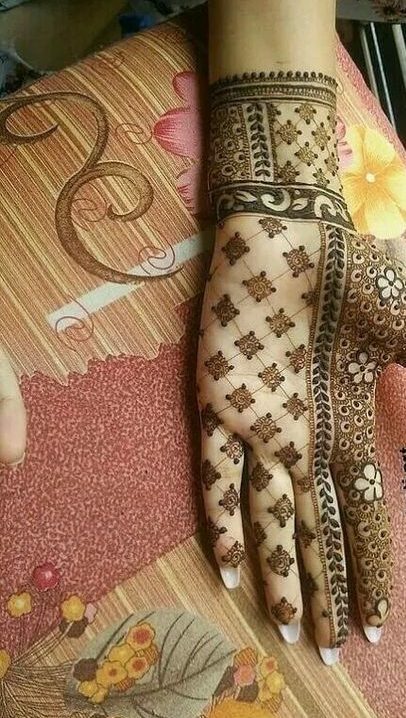 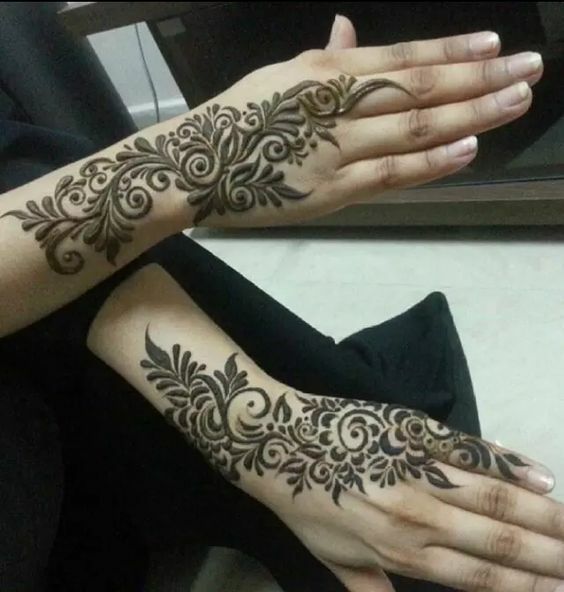 Well, here is a perfect design for those kinds of brides as this design has been made at the back of the hand. 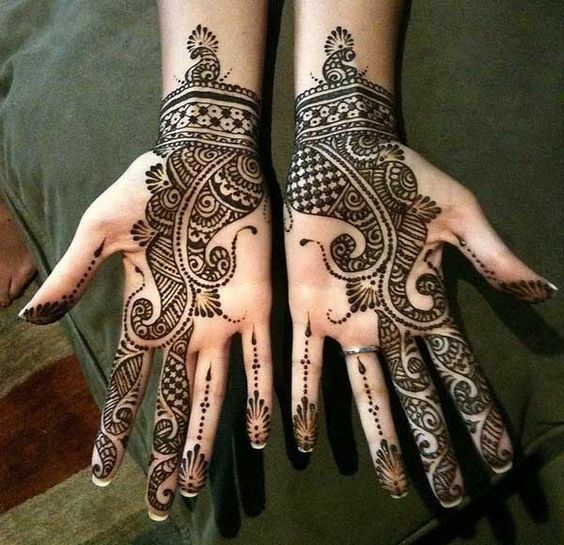 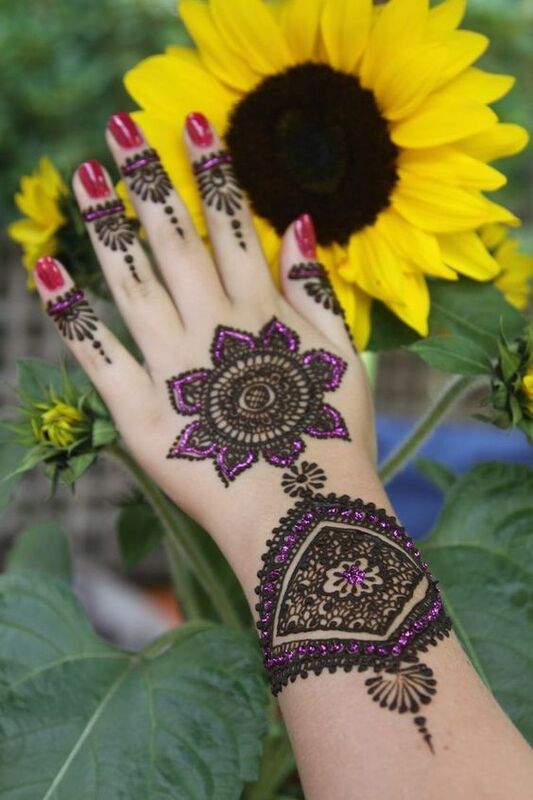 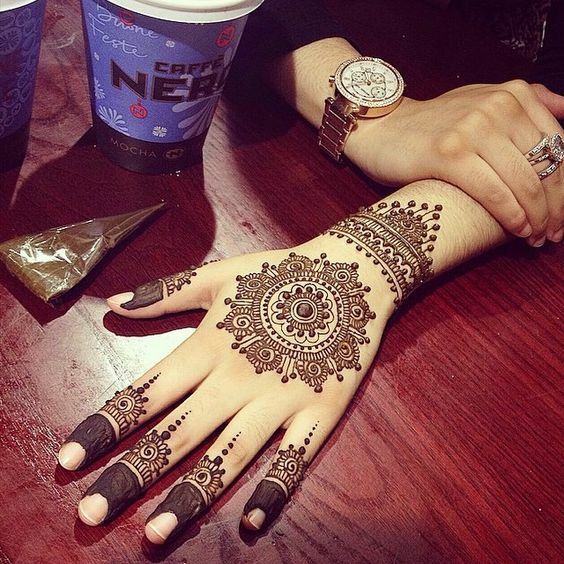 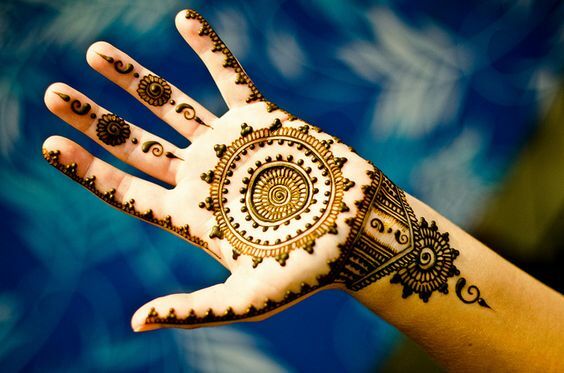 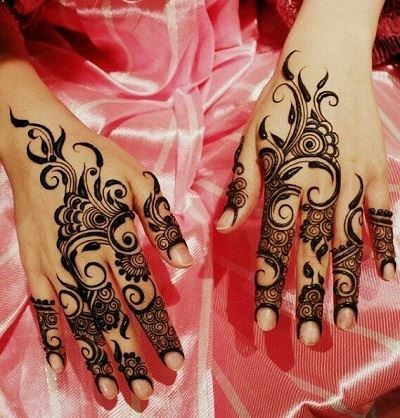 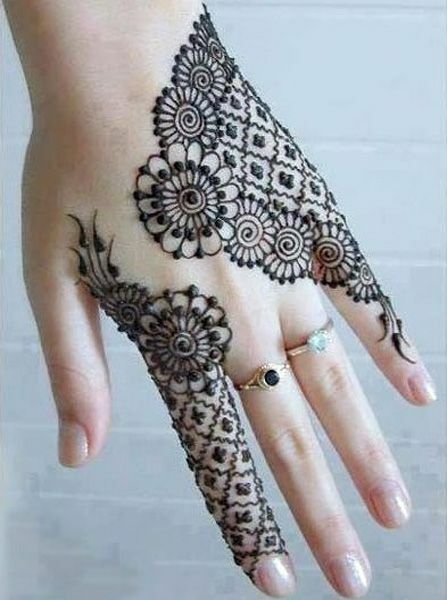 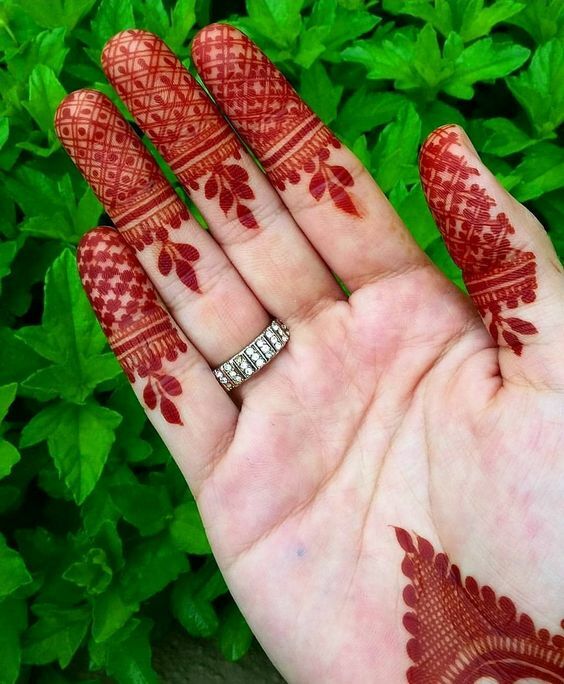 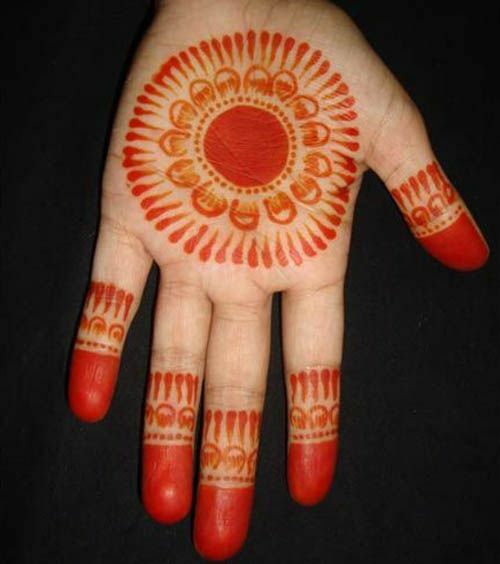 The patterns are really beautiful and the whole hand is not filled. 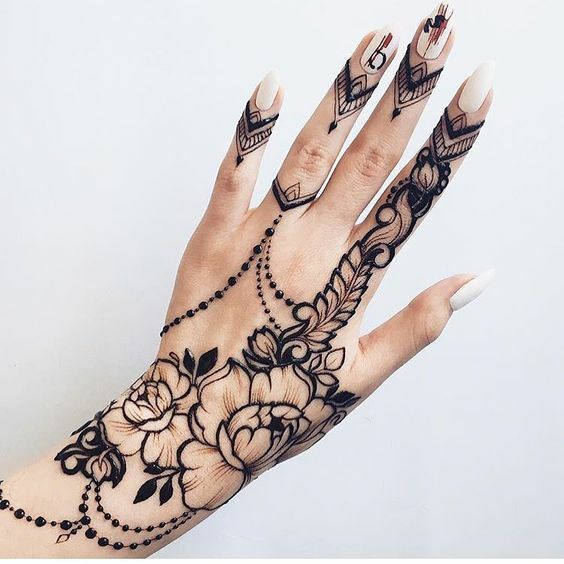 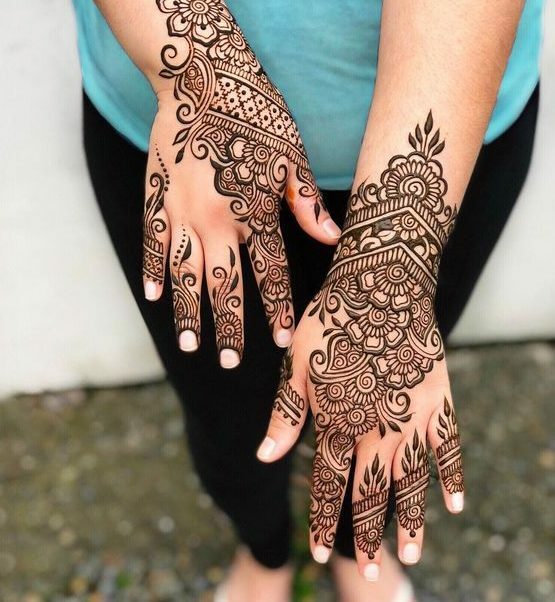 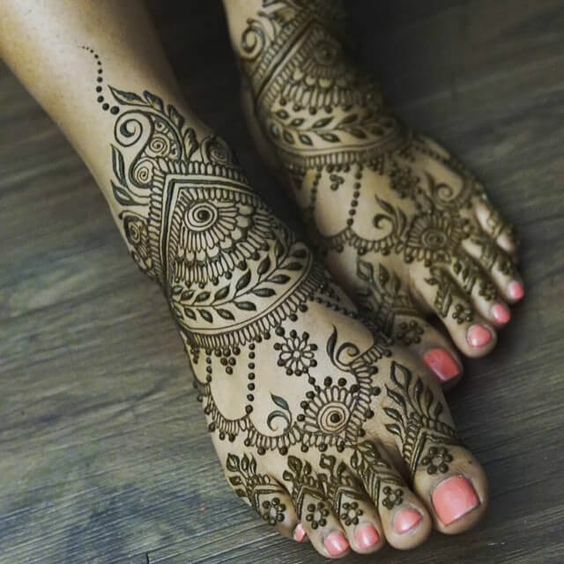 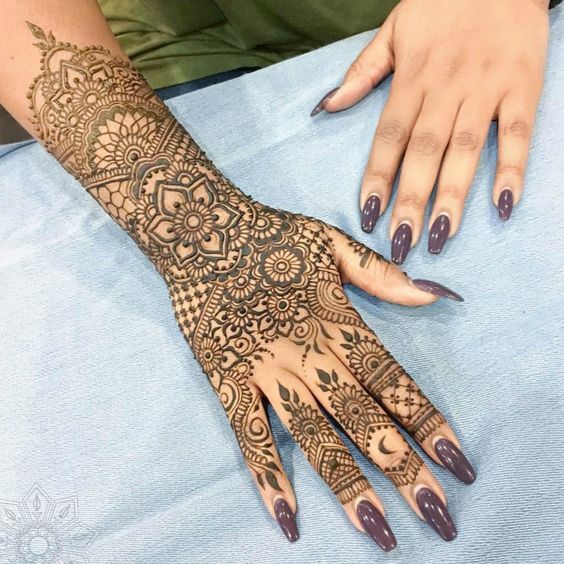 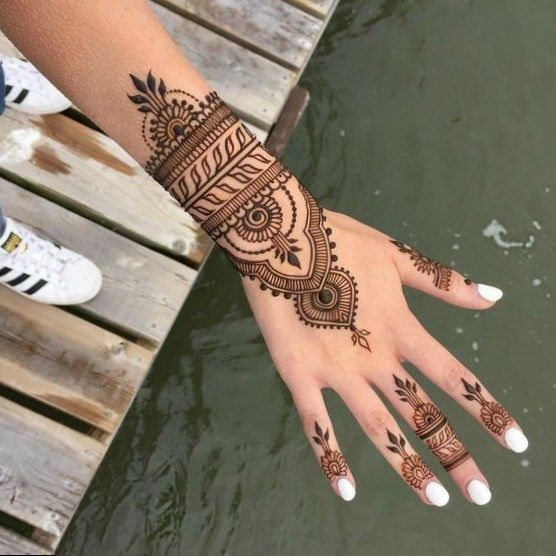 If you're a crazy fanatic of peacock mehndi designs and want something that looks super beautiful as well as unique, try this design. 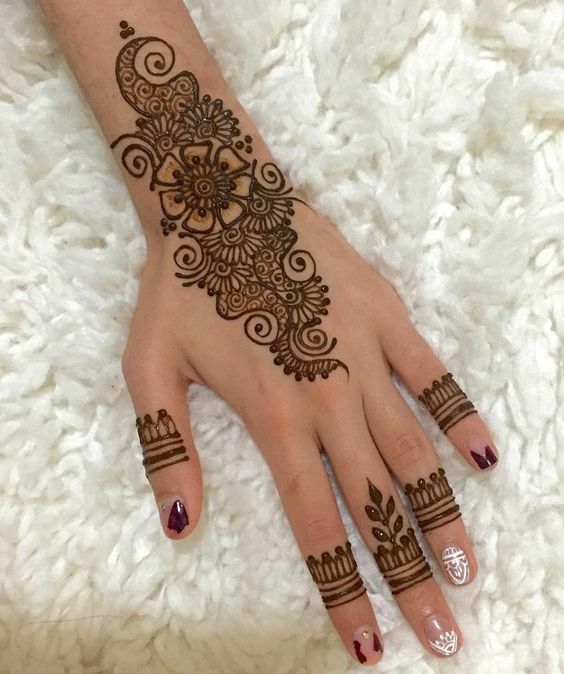 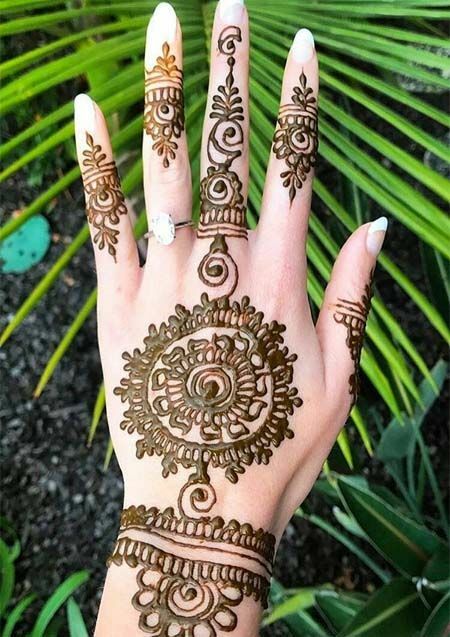 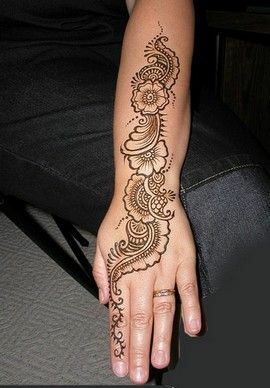 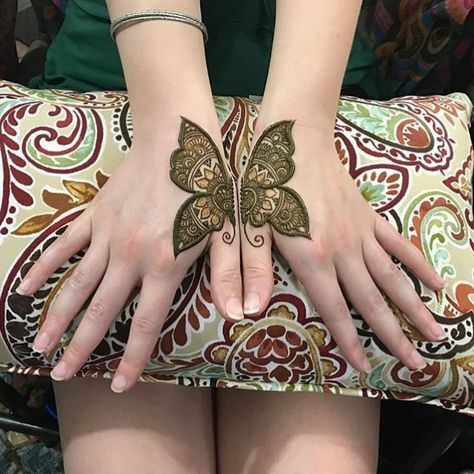 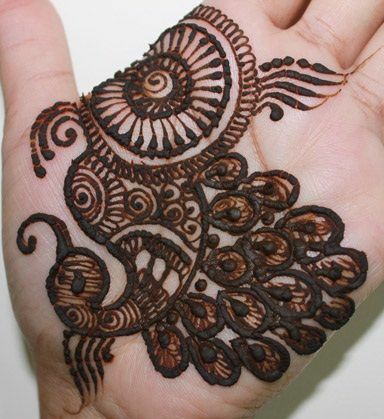 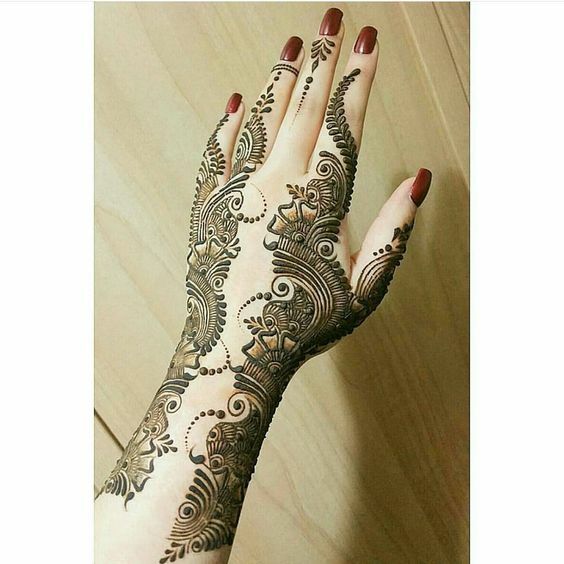 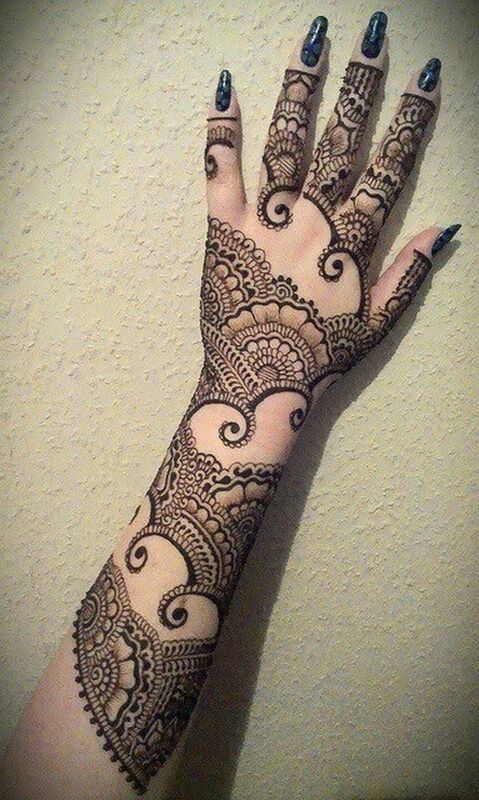 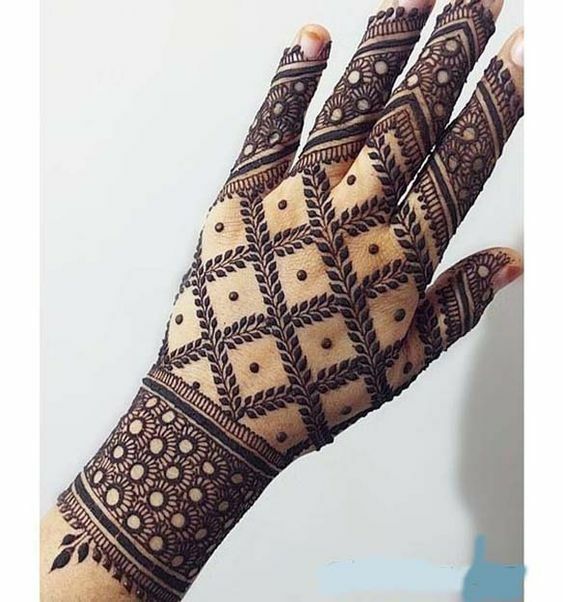 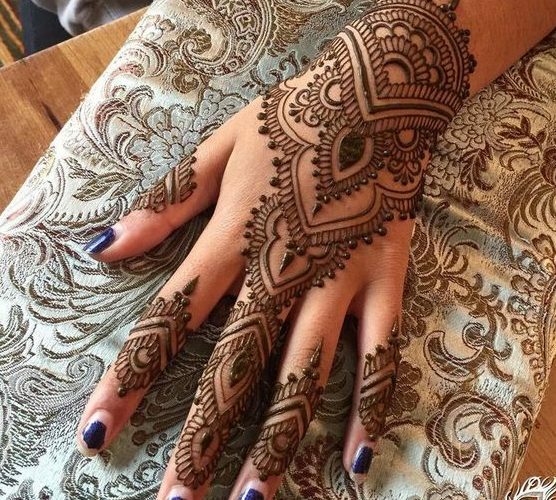 This mehndi design has been made a the back of the hand which contains a huge beautiful peacock with some other patterns.